PlayJam, operator of the worlds leading Smart TV games network and creator of GameStick,today announces a wide-ranging, official partnership with Pivos Technology Group to bring full integration of XBMC platform to the world´s most portable TV games console, GameStick. 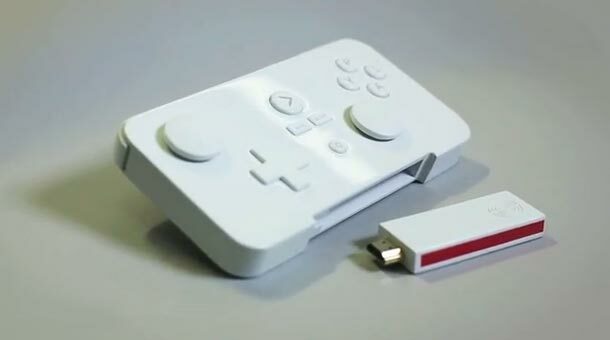 Pivos will work with PlayJam´s GameStick team to further extend the reach of their XBMC development to the micro games console bringing media center capability to the eagerly anticipated device launched earlier this year on Kickstarter. While GameStick is first and foremost a games console, the ability to support a wider range of media services was a much called for feature during the fund-raising campaign. Working with Pivos, PlayJam will integrate the same platform that powers their console with a full fledged XBMC Media Center experience offering adopters a rich and compelling gaming service via a wide range of embedded devices. PlayJam has recently announced its intention to make its virtual games platform available to hardware manufacturers looking to enter the affordable TV gaming space. “This partnership with PlayJam is a catalyst in our vision to deliver a fully customized home media gateway,” commented by Jack Chen, Pivos COO. “As one of the core XBMC developer and release teams, this partnership between our companies can help build one of the most dedicated and feature-rich entertainment experiences. Pivos Technology Group, Inc.is a global pioneer in media platform developmentand embedded technologies founded by a group of industrial veteran and renowned platform developers in Fremont, California. Pivossolutions include IPTV, STB/ OTT, Internet Video Streaming, VOD, multimedia playback, and digital display technologies based on its popular open source and Android development environment. XBMC is an award-winning free and open source (GPL) software media player and entertainment hub for digital media. XBMC is available for Linux, OSX, and Windows. Created in 2003 by a group of like-minded programmers, XBMC is a non-profit project run and developed by volunteers located around the world. More than 50 software developers have contributed to XBMC, and 100-plus translators have worked to expand its reach, making it available in more than 30 languages. PlayJam is backed by GameStop, Adobe, Endeavour Ventures, London Venture Partners and a number of game industry luminaries. PlayJam is the world´s leading provider of games on Smart TV devices, representing over 45% of all games played on Smart TV in over 100 territories Worldwide. Monthly Active Users grew by over 1000% in 2012, and PlayJam Games Network now serves over 150 TV apps on Samsung, LG, Panasonic and a number of other CE manufacturer devices, such as Western Digital. The company recently completed a highly successful Kickstarter campaign to fund the launch of its dedicated games console – GameStick, which closed at 650% of the original target and is due to ship in April this year.